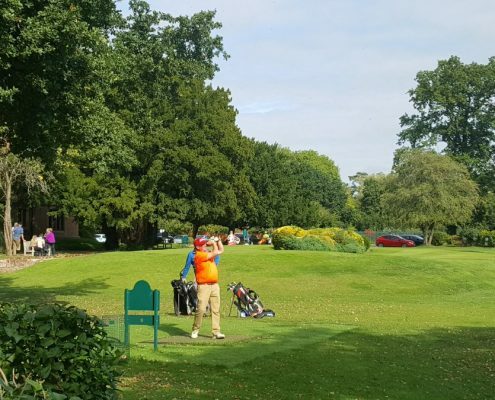 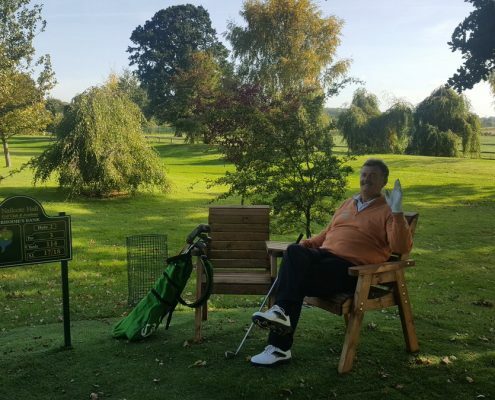 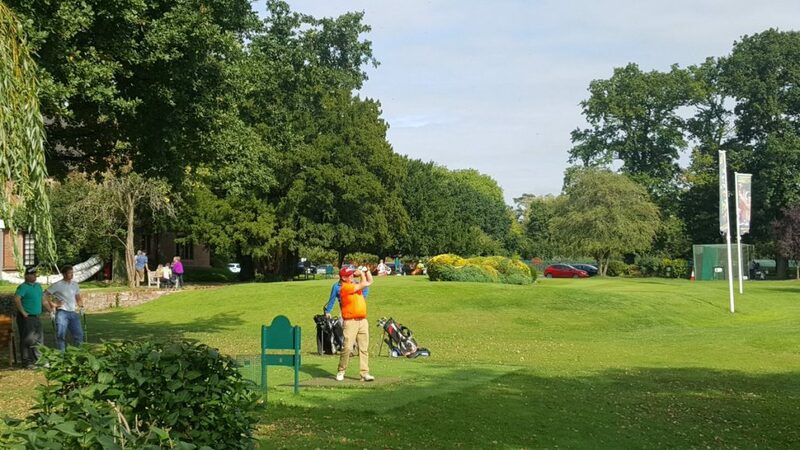 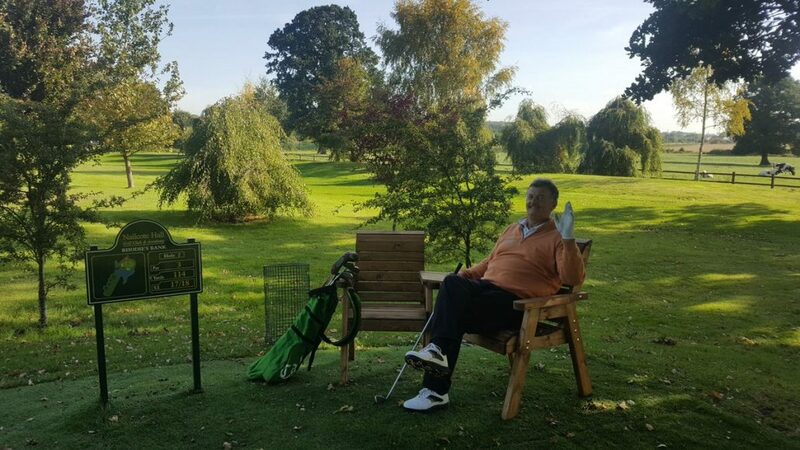 Saturday September 15th we gathered again at Nailcote Hall for the fifth running of the Midlands Golfer Matchplay Masters. 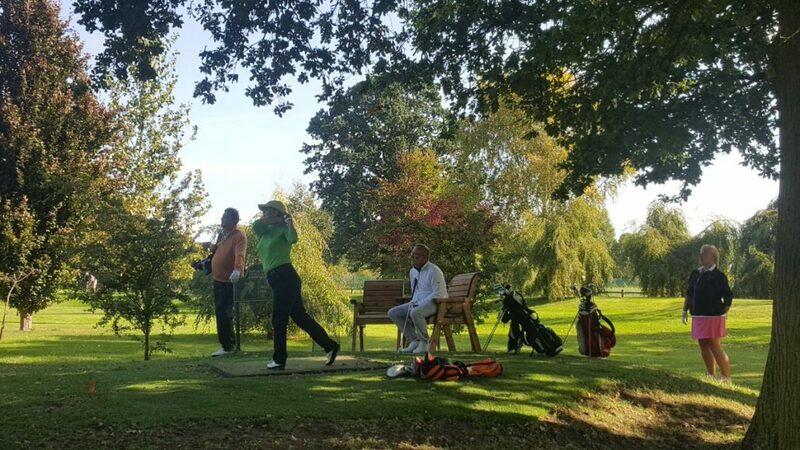 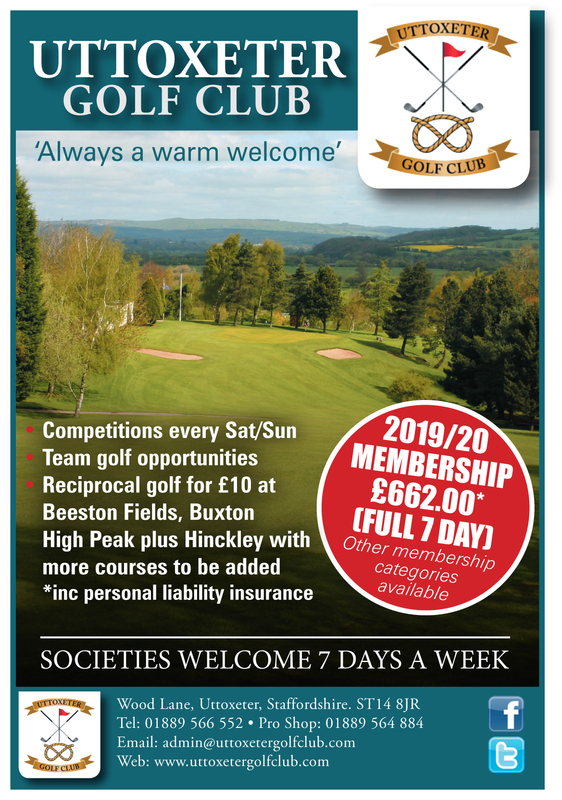 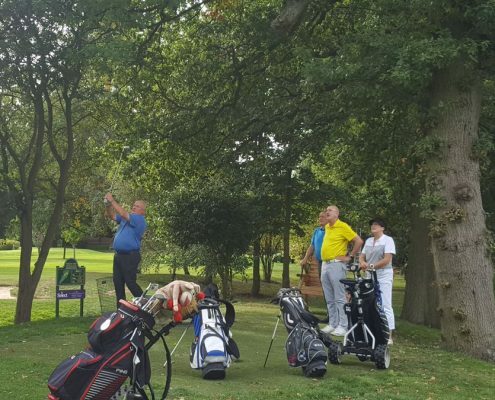 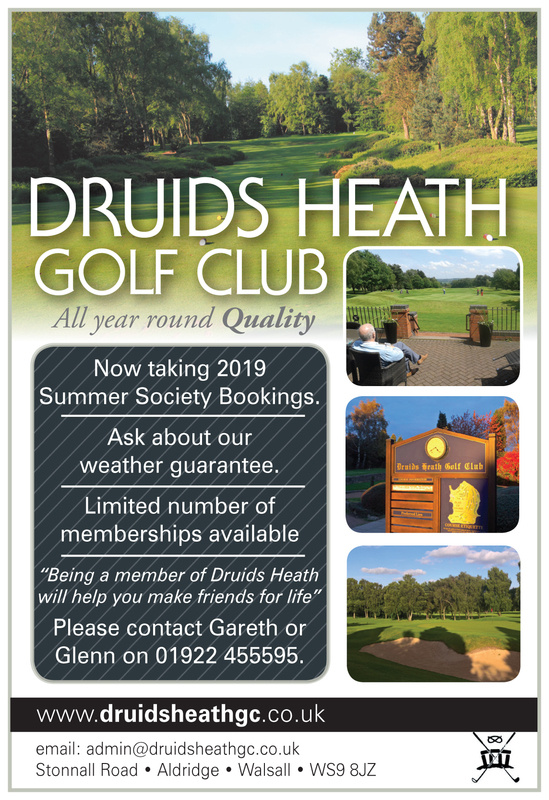 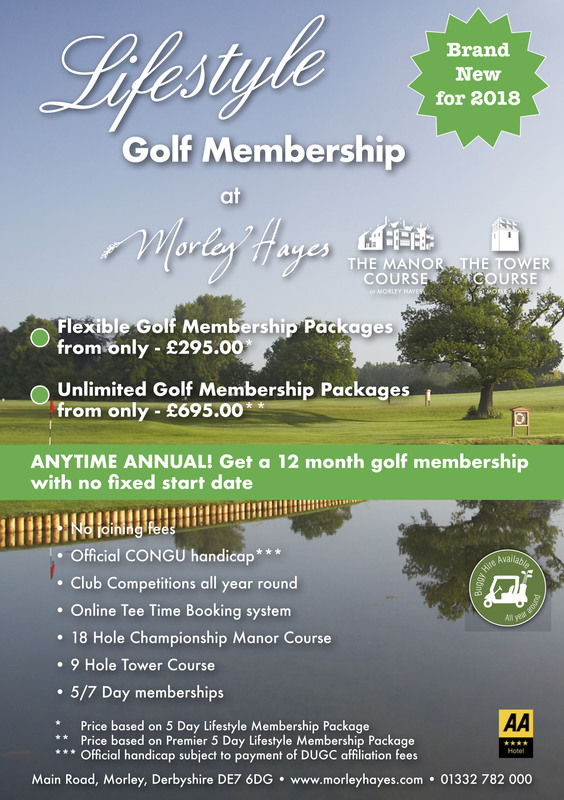 The usual eclectic mix of mixed handicap golfers, Matchplay regulars as well as new to our event players made up the 16 pair line up, ready for some fast fire cut throat golfing tussles on the famous Cromwell Course. 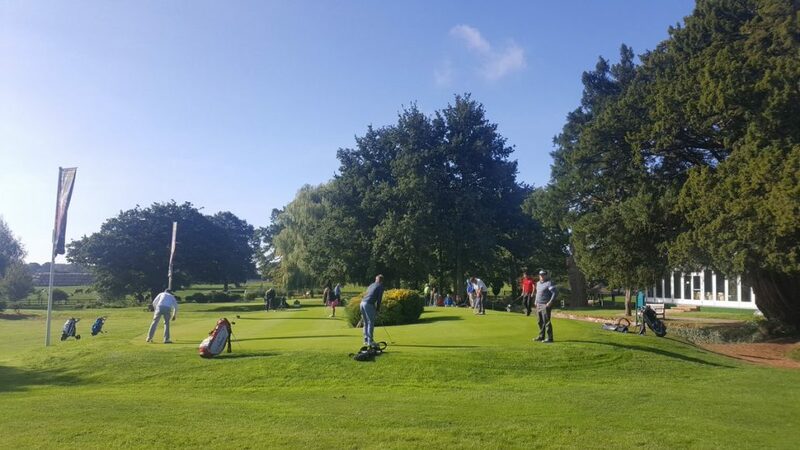 After breakfast and a few practice putts the first two rounds ran back to back with shotgun starts and it was clear right away how much the golfers were loving the course. 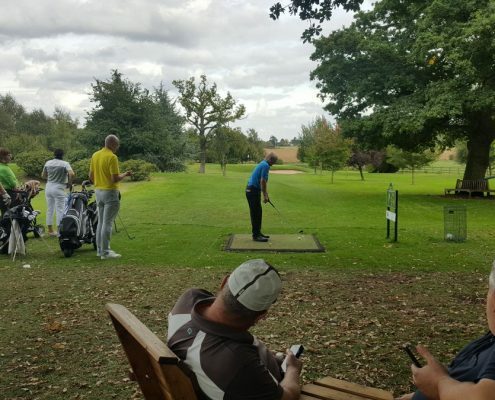 The great weather helped but hosting the matchplay just a month after the British Par 3 Championship was clearly a smart move on our part. 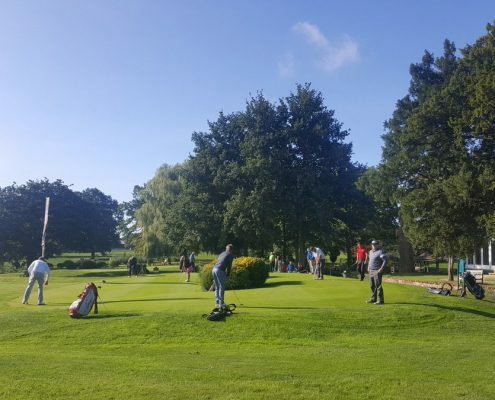 The Cromwell was in the finest condition we’d ever seen it in five years of running MG events here. 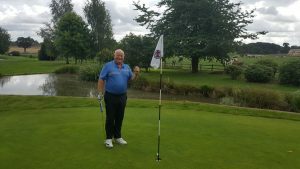 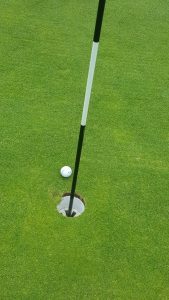 In all the drama and speed of the openings rounds and trying to spend time with all of the ties going on, I was lucky to witness what was the closest we’ve ever come to a hole-in-one on The Cromwell, as Nigel from The Abbey almost pitched it right in on the ninth hole, hit the flagstick and popped out half a foot away, pictured here. 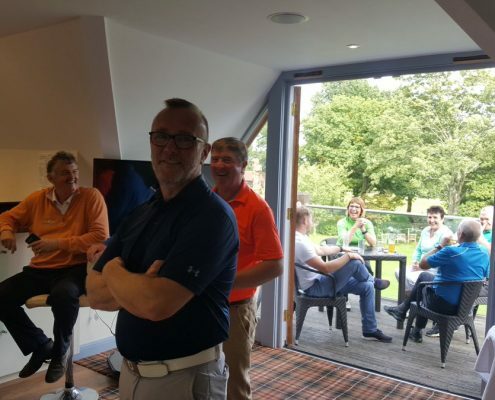 Lunch came around and we had got ourselves semi-finalists ready to go out again after sandwiches and fries were served. 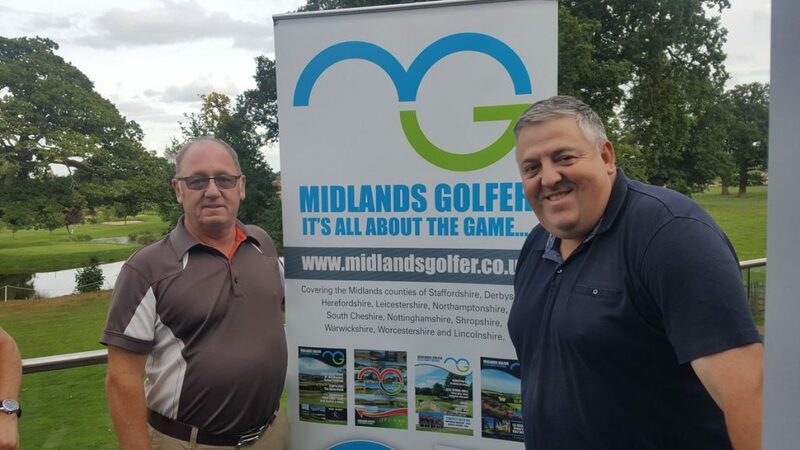 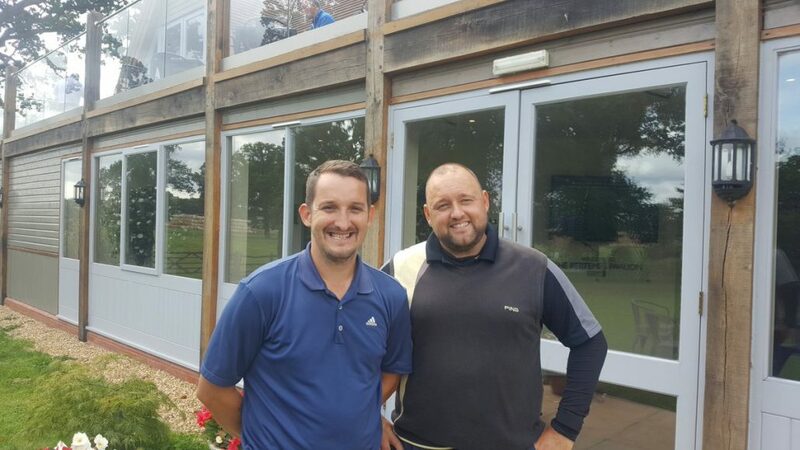 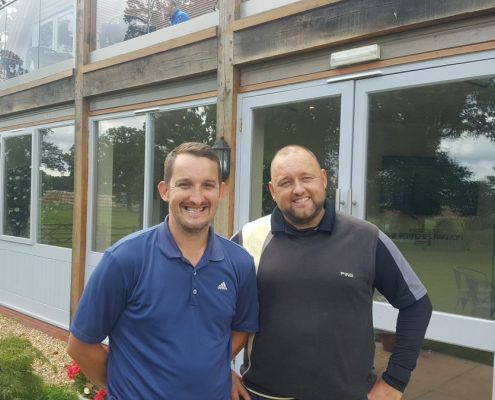 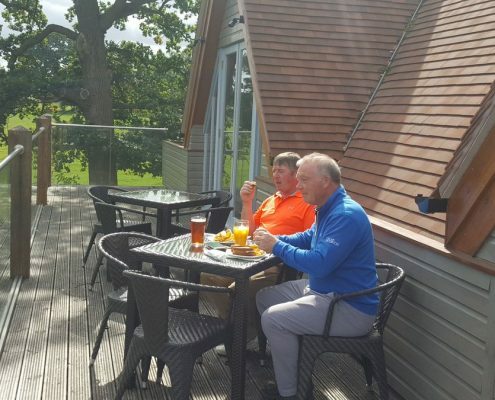 Our winners from 2017, Albert and Andrew from Abbey Hotel had failed to defend their title but their two mates Nigel and Mike had got through to play another new pair, Gareth and Allyn from Bewdley Pines GC. 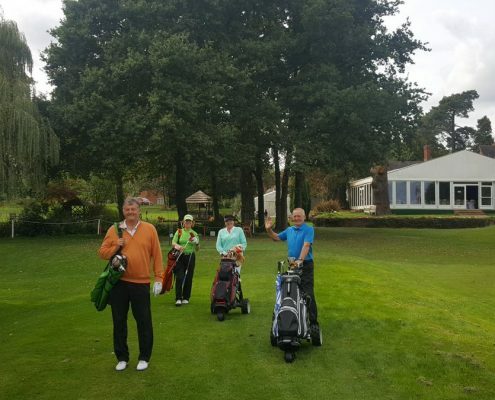 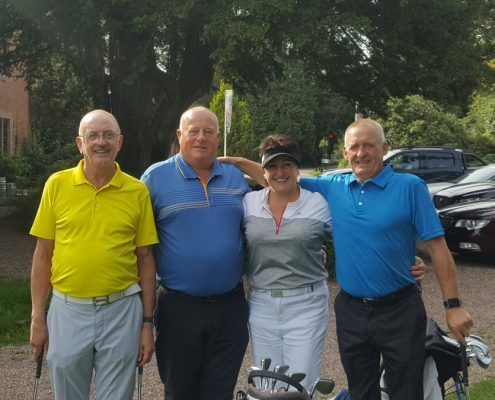 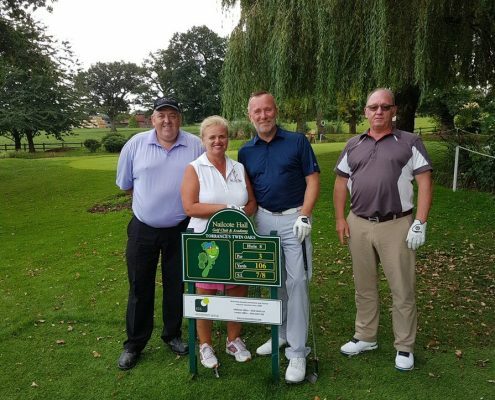 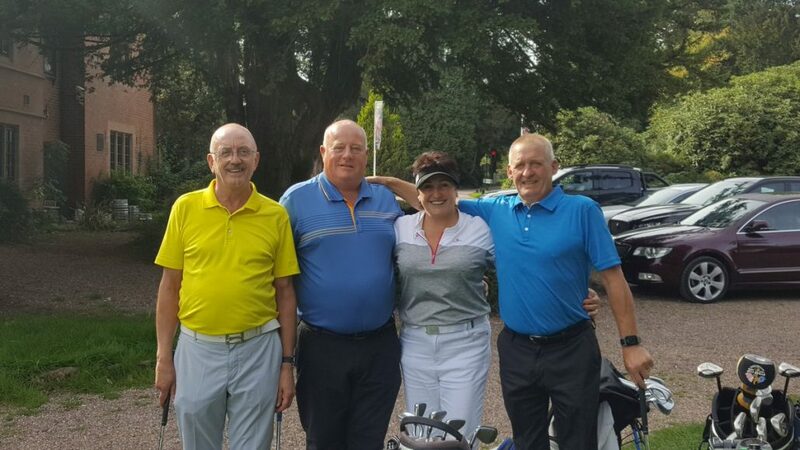 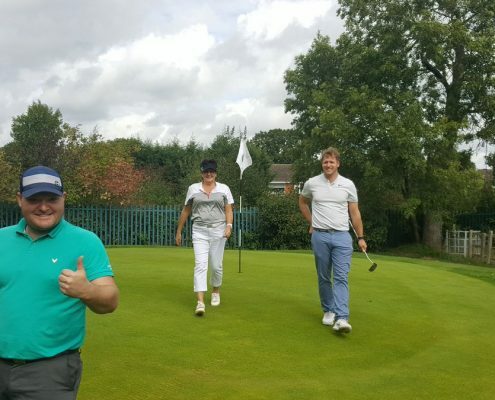 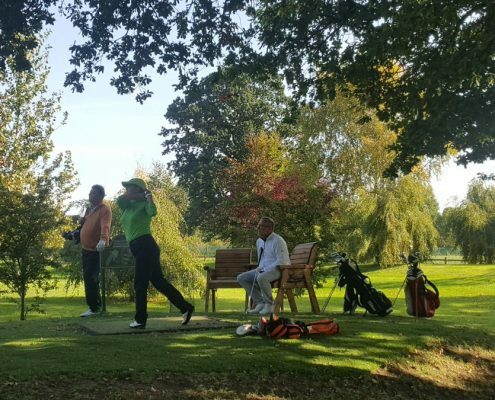 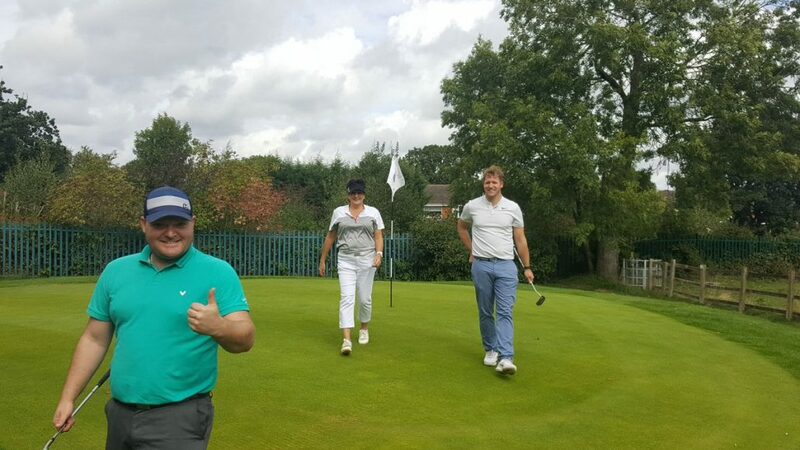 In the other semi, what a tie in prospect as MG’s own hubby and wife team, Jean-Louis and Mandy were reunited in battle with another married golfing couple they had met and kept in touch with after meeting in Ireland at Club Choice Ireland’s Gourmet Classic event in 2017. 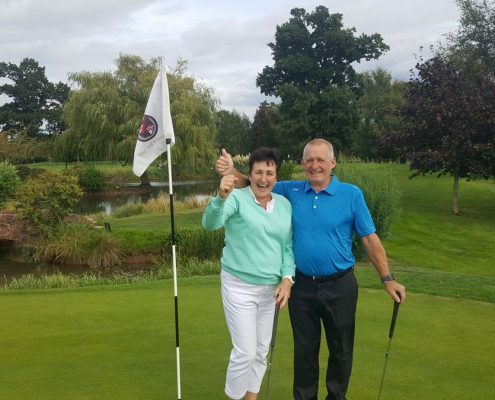 Karen and Steve hail from Pontypridd in South Wales and used the event to enjoy a weekend at the hotel too, their first time at Nailcote. 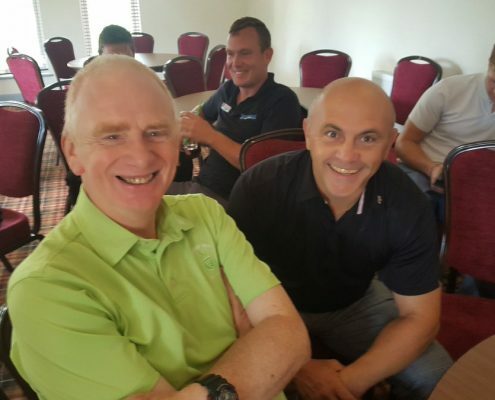 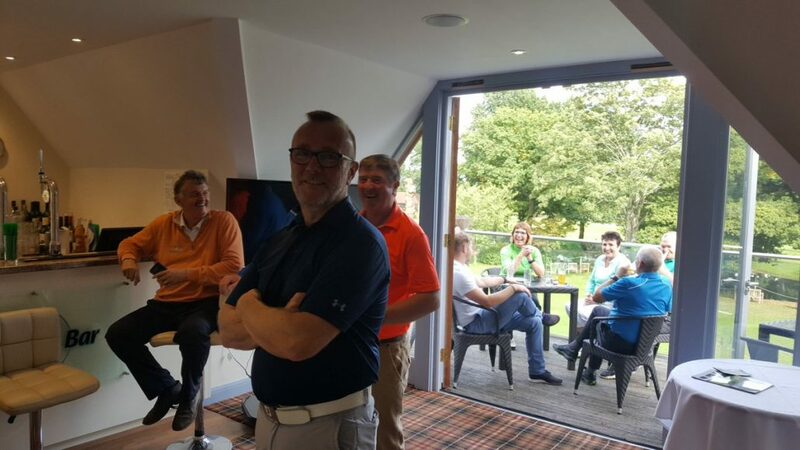 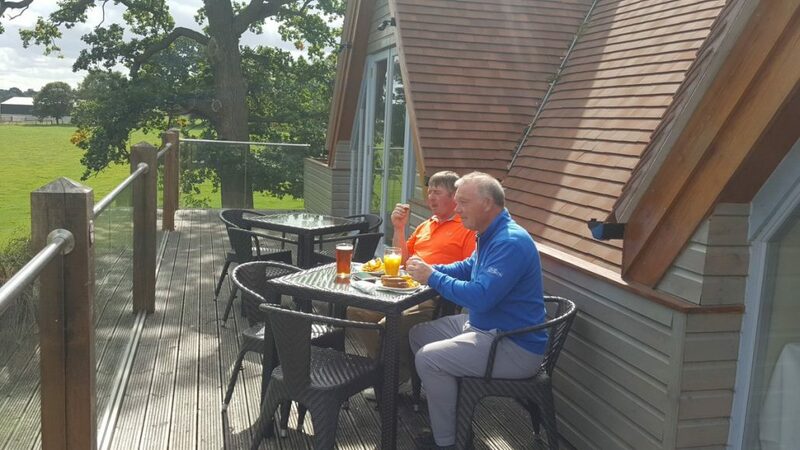 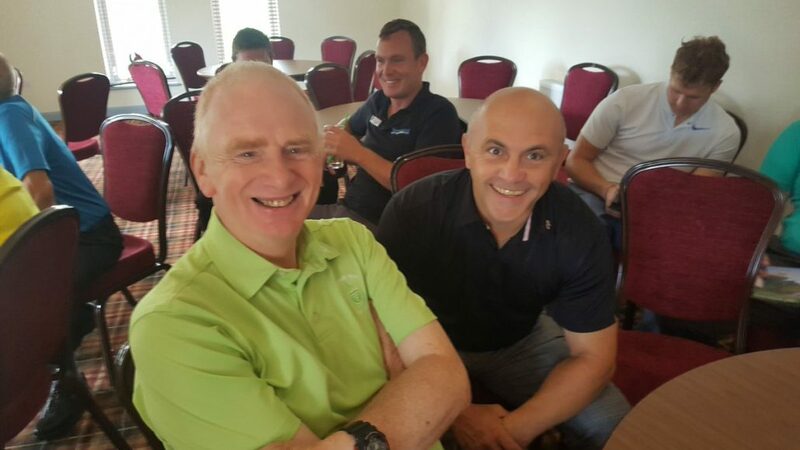 They were enjoying the golfing too as Wales got past the Anglo/French challenge of the couples to line up in the final against Nigel and Mike who had edged out the Bewdley duo in the other semi. 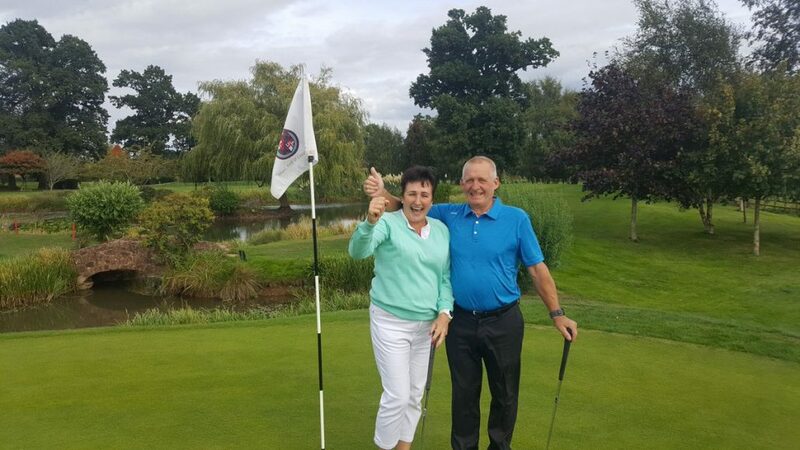 Two finals teed off at 3.30 – we always hold a second chance plate competition for the first round losing pairs to continue competing and another hubby and wife team, MG ambassador Chris and his wife Caroline almost found glory in their first matchplay together, only to be beaten by Albert and Andrew. 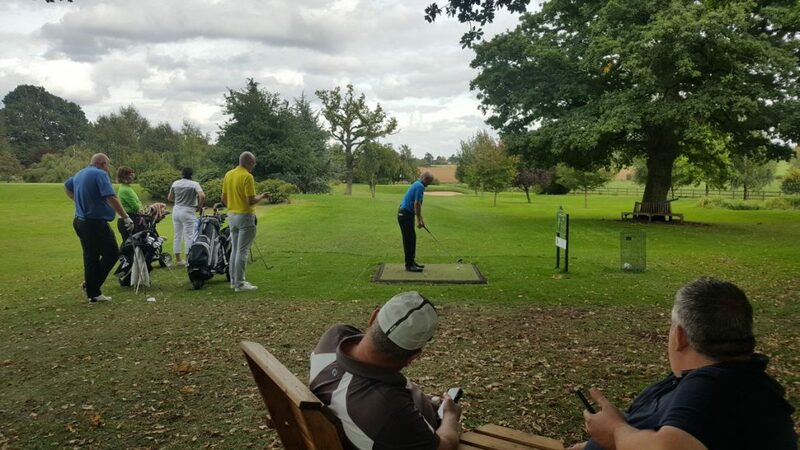 In the main event the final was a cracker as the quality of golf matched the occasion. 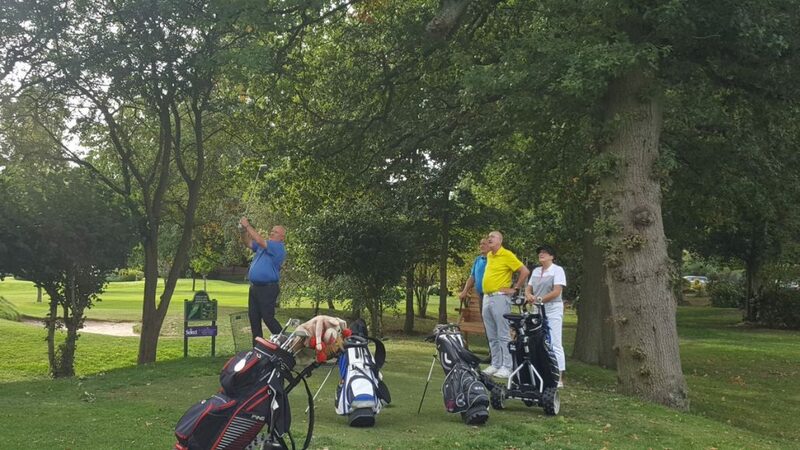 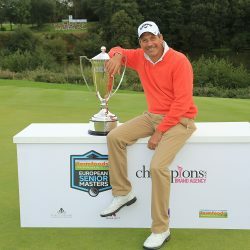 It went all the way to the eighth when a solid par from Steve was enough to take the Matchplay title out of England for the first time. 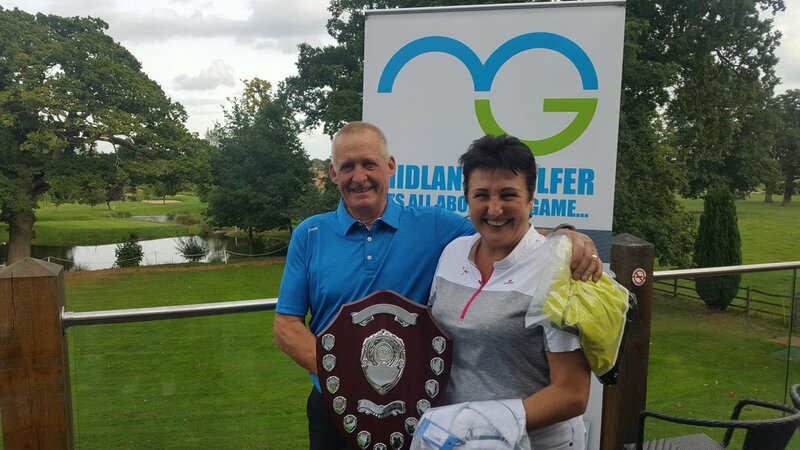 A first ‘foreign’ winning pair and a first lady winner too as Karen and Steve received the Matchplay ‘Shield of Dreams’ in the prize presentation later on. 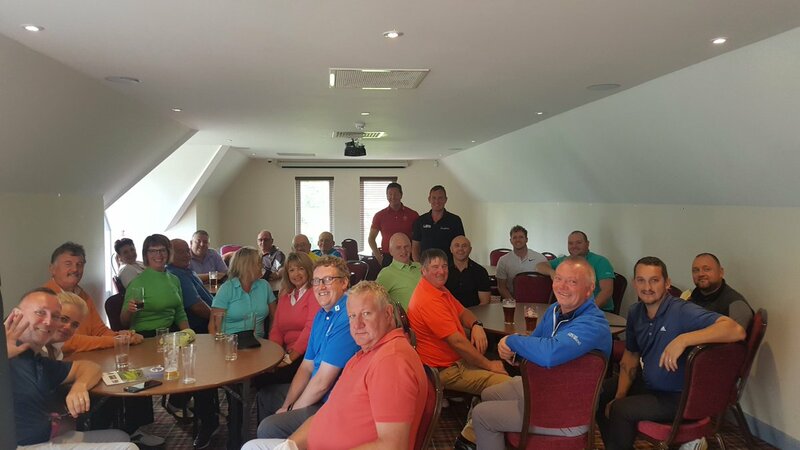 A big well done to them and they will return from the valleys next year to defend the title. 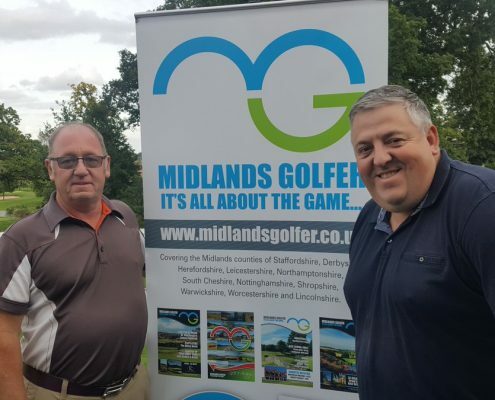 As always, a big thanks from ourselves to all the competitors and all of the staff at Nailcote Hall, it was another fabulous day out for us all. 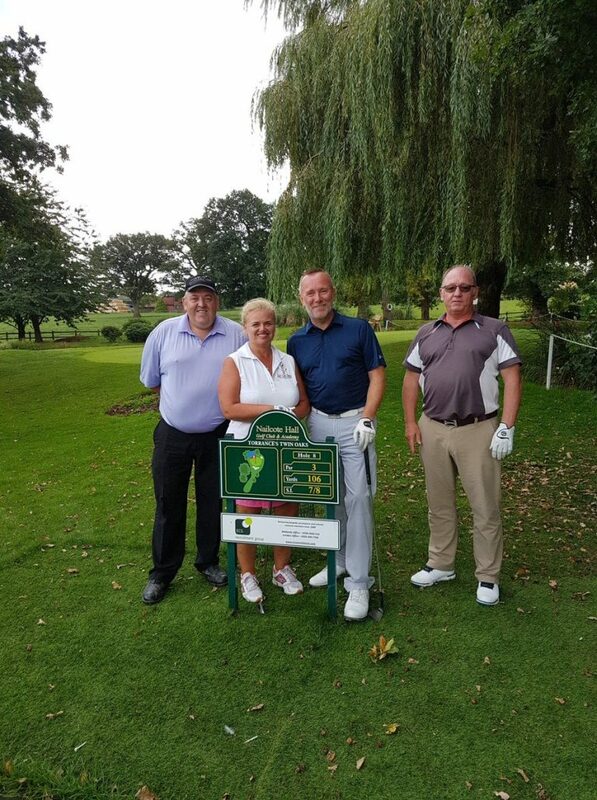 Mandy had a quick chat with the new champions after the presentation.